Is it okay for guys to cry? Or to drink soy milk? Or experiment with other guys? Masculinity is more toxic than ever. To combat its debilitating effects on young men, 72andSunny helped Axe open the conversation by acknowledging the scope of the issue in a complete U-turn to the brand’s former, primal message of manly men attract beautiful women. 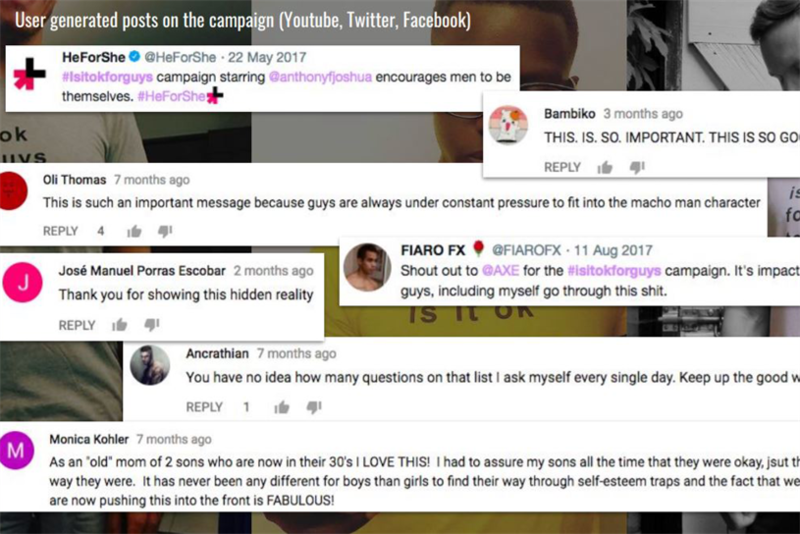 Judge Nancy Hill, Media Sherpas founder and former 4A’s CEO, said: "It was nice to see this brand, long a champion of teenage hyper-masculinity -- ‘how to get the girl’ -- take a pivot in this direction. I hope they stick with it."